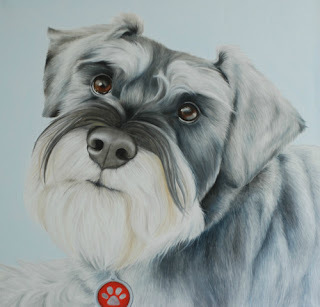 This is Dodi the handsome Schnauzer and the first Schnauzer I've had the pleasure of painting! I couldn't wait to get started on this portrait, not only because Dodi is absolutely adorable but also because of the amazing colours that Schnauzers have in their fur, and their amazing eyebrows! I met Dodis mum, Frances, at the Harmony at the Larmer Tree event, we then arranged for me to head over to meet Dodi and take some photos. He had recently had a bit of a haircut and brush so was looking very smart and seemed to take the modelling in his stride! 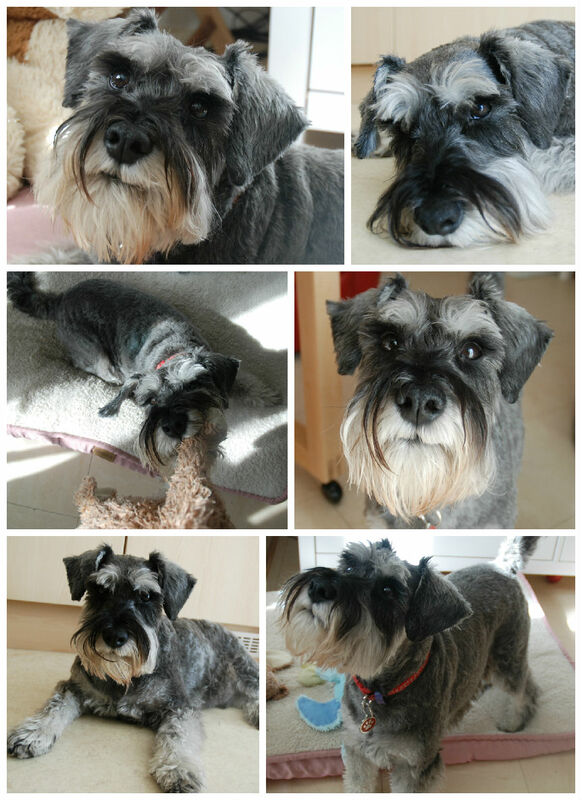 He got the poses down to a fine art which meant I could take some wonderful photos to really capture his personality. The canvas is the large size which is 20x20 inches, an ideal size and shape for a head shot. Working on this size really allows me to focus on the details in their facial expressions which is key in capturing their personality and character, something that Dodi has plenty of! I dropped the painting off and had a little play with Dodi, he didn't seem all that bothered about his picture but was definitely happy for a belly rub! He had just been down to the beach with Frances so wasn't looking quite so smart and tidy as when I had first gone round but definitely just as adorable.